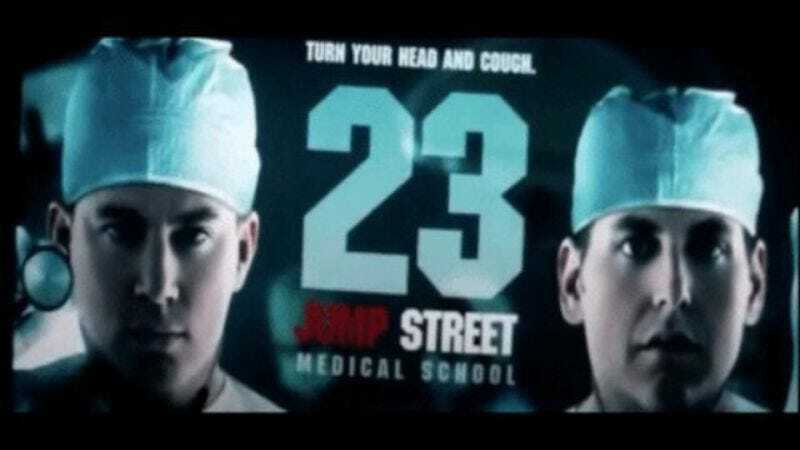 A little over a month ago, Sony announced its intention to make a threequel to a sequel making fun of the idea of sequels, also known as 23 Jump Street. It’s still unclear whether directors Phil Lord and Christopher Miller will return for the third installment (they are pretty busy, after all), and now it looks like Channing Tatum doesn’t want to go back, either. More likely, the duo will work at Starbucks and take improv classes at night before giving up their dreams for a soulless corporate job in order to pay off their student loan debts, but that’s another story. Of course, the producers could just replace this Tatum kid entirely—something that was also joked about in 22 Jump Street’s credits sequence—but that would create a black hole of self-aware jokes that could end humor as we know it, so hopefully they won’t do that.